This week I was attending the 3 day Project Ignite training. This is a technical training offered directly from Microsoft and was presented by Christophe Fiessinger and Jan Kalis at Warsaw (but I followed the training on Lync, which was really cool using the 360-video). I learned lots of new and interesting things about Project Server 2013 and Project Online. Thanks Christophe and Jan! A console application, connecting to my local Project Server 2013 lab machine and create a project. A SharePoint Autohosted app (based on my previous blogpost: Windows Azure auto-provisioned apps for SharePoint 2013), connecting my Project Online PWA instance using OAuth 2.0 and retrieving a list of projects. In general, it’s all about the ProjectContext. Using this context, you can do/get whatever information you want. In this case, a new Project is created using the object ‘ProjectCreationInformation’, this object is added to the ‘projContext.Projects‘ and finally you tell the context to update with this new project. This will create a queue job and will perform the required action. That was easy to do! On the next screen, you should enter the URL of development site (note: when you want to debug Apps on SharePoint Online, you need to have a site collection created as ‘Development site’ type. Otherwise, you will receive an error while publishing in debug mode). This option does have an impact when you want to try debug apps for Project Server (using PWA), but more about that later. No you have an empty SharePoint App. In our case, we want to use this app to get a list of projects stored on our online PWA. If you look at the files in your project, you will see a file called ‘TokenHelper.cs‘. This is a file responsible for the OAuth 2.0 authentication of your application with SharePoint. It includes the code to handle OAuth 2.0 authentication and how to perform callbacks to SharePoint using CSOM. 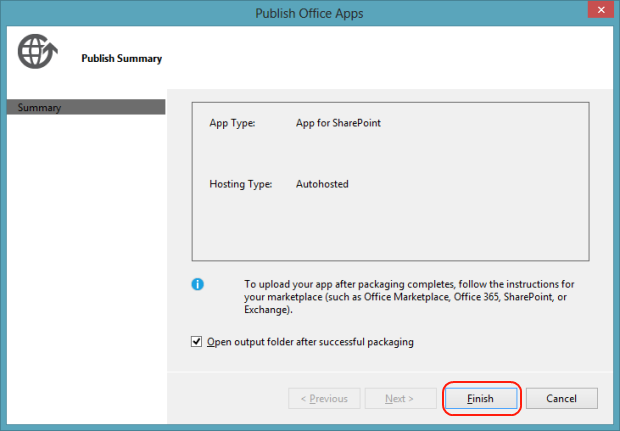 More information about SharePoint 2013 authentication can be found here. This TokenHelper class is used to get a SharePoint ClientContext, like you can see in the code below. The TokenHelper returns an authenticated instance of the ClientContext, which is the CSOM you can use to create some cool things. // Get the list of projects on the server. SharePoint added a site collection level feature near RTM that, once enabled, will allow you to F5 deploy from VisualStudio, no matter what type of site collection you are targeting. Until the new bits roll online and this is documented, your best option here is to F5 debug on-prem and publish an app package and use the corporate catalog to test online. Click finish, and the output folder of your .APP file should open. 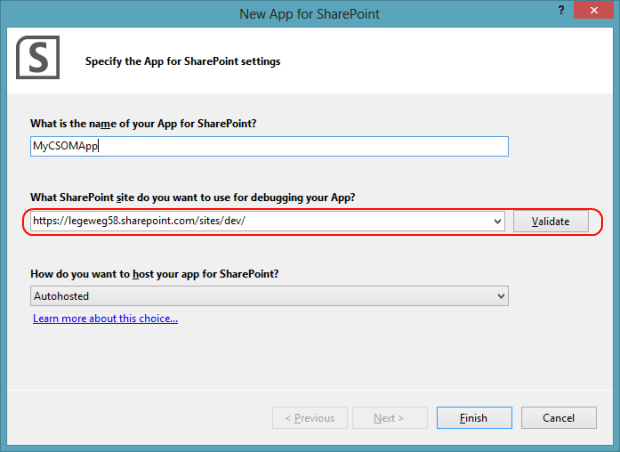 Now we should ‘upload‘ it to our SharePoint Online environment, and make it available for the users. The place where App’s are managed is called the “App Catalog“. 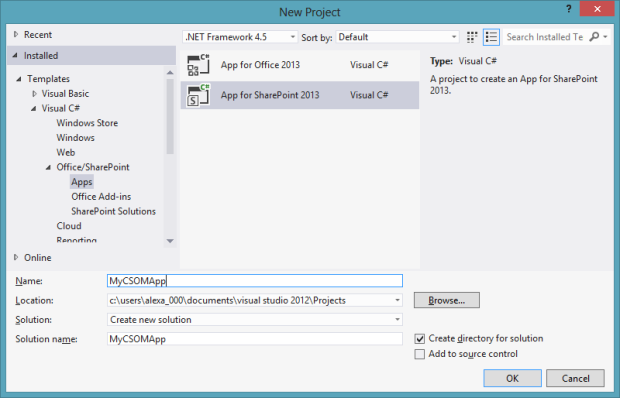 This app catalog is a separate Site Collection, and can be created using the SharePoint Administration Center. There you can click on ‘Apps – App Catalog‘. If you haven’t created one yet, it will create one for your, and otherwise, you will be redirected to the App Catalog itself. On your App Catalog site, click on ‘Apps for SharePoint‘ (on the left side). You will see an overview of all installed apps, including an indication of the licenses you still have available. To add your App, click ‘New Item‘ or drag and drop your .app file to the top area of this page. That’s a list of your projects, retrieved by the ProjectContext (CSOM). Nothing fancy, no HTML, just plain text. Cool! 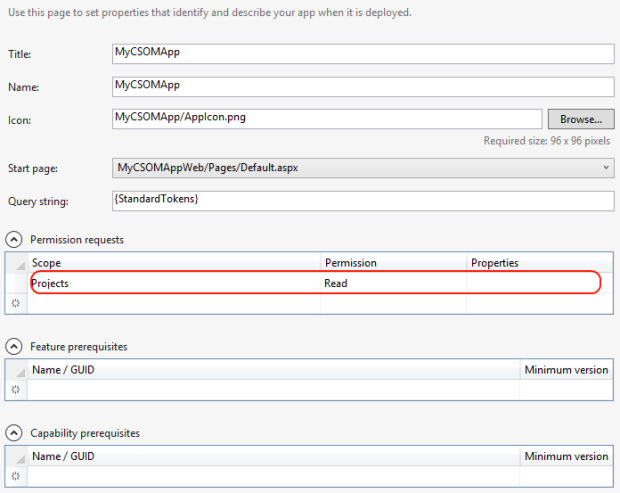 Now it’s up to you to use the CSOM and create some great apps! I’m really excited about this way creating apps, the way CSOM works, the flexibility, the (future) debugging. Thanks to my colleague Koen Callens for the fun experience of creating our first App together! Thanks for reading, and enjoy creating your Project Server apps! 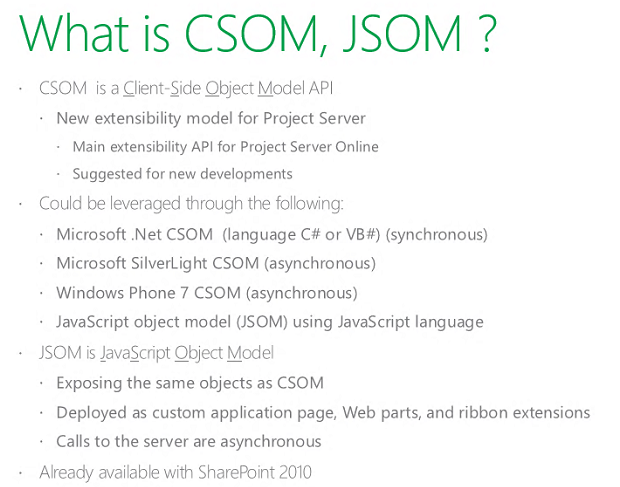 Thanks for your post man, but do you know if it’s available the same option but with JSOM, in a Sharepoint hosted-app?